Lord Tim Bell has resigned as chairman of Bell Pottinger, 30 years after he founded the agency, and is set to form a new PR business called Sans Frontières, the same name as the arm of Bell Pottinger that handled sometimes controversial geo-political work. Bell (pictured), Margaret Thatcher’s former PR chief and one of the most well-known and high profile figures in the UK PR industry, leaves his role today (25 August) but will maintain involvement in the company, the agency said in a statement. After helping but Bell Pottinger out of parent Chime five years ago, Bell took a significant but minority stake in the shop. 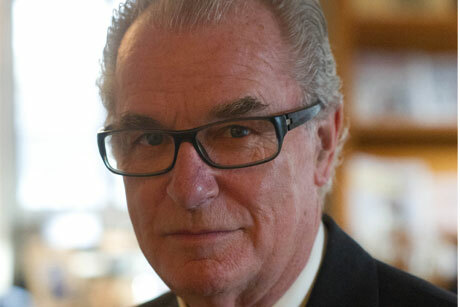 "Lord Bell has decided he would like to step back from the day-to-day running of the business, but not to retire and from next year he will continue to provide his personal advice to clients through a new business, which he will be forming," Bell Pottinger said. "The business respects the huge contribution he has made both to the PR industry and the brand he has built and hopes to continue to have ties with him as the founder of the business." James Henderson, CEO of Bell Pottinger, said: "Tim has been the founder and driver of this business since he started it in 1987. We are grateful for all he has achieved for both the PR industry globally and in building Bell Pottinger into a household name. "He does not intend to retire totally and next year will be setting up a strategic consultancy to be named Sans Frontières. He will always be the founder of this business and we will find ways of mutually working together with him in his new business where there are clients that need a combined expertise." Last year, Bell, 74, pledged he would 'never retire' when talking to PRWeek editor Danny Rogers for his book Campaigns that Shook the World.